born bibliophile: Hang In There? I don't think it's fair to do a review of a book before I finish it. I have, however, come across what may be an exception to my normal rule because the thought of having to finish this book makes me tired. I could tell you what is wrong with it, in detail, but that would take too long, isn't worth my time, and - again - makes me tired just thinking about it. To review an unfinished book or not to review an unfinished book? That is the question. How about a brief, fair assessment on what I've read so far? I was looking forward to reading this Pulitzer Prize winning book. I didn't read detailed reviews before I began, just overall ratings and comments. This is my usual practice. I don't like detailed reviews because, too often, they give too much away. 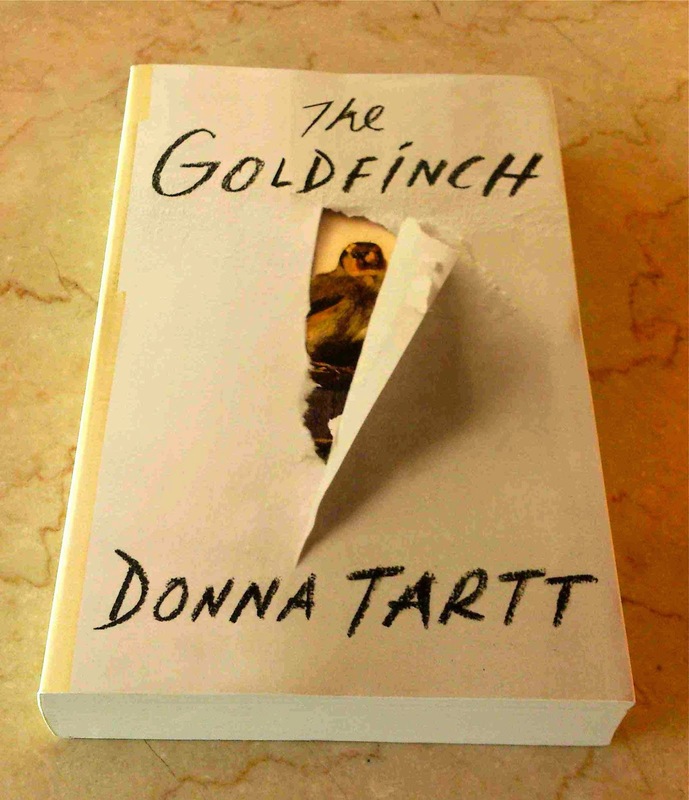 I wasn't worried that I might not like The Goldfinch by Donna Tartt. I mean, it won a Pulitzer, it had to be great - right? There are parts of the book I like, lovely passages I've highlighted, and characters I enjoy, but the details are too many, the story is too long, and I've not been on such a long, boring ride in a long time. It's never a good sign when you read for hours and, then, find yourself looking at the bottom of your Kindle to see what percentage you've finished...so you'll know how much more you need to endure to get to the end. It's a pretty desperate feeling, and it makes me sad. I wanted to like this book. The thing is, I can see how it could be a great story. It just...isn't. There are parts of it I've enjoyed, but not enough to make me push through the rest. The book just feels...depressing. Worst of all, I don't really care about the main character anymore. All I care about is that I'm only halfway through the book, and I'm about to give up. It isn't like me. In fact, I don't think I've ever abandoned a book this far in, no matter how bad, because I usually want to know how it ends. Not this time. I really don't care. And I hate that. Before writing this review, I went on to Amazon to see how many pages are in the book. There are 755 pages. I've read numerous books longer than that and, because they were so good, I found them too short. When I saw the number of pages for The Goldfinch? I winced. I thought of my limited pleasure reading time during the school year and thought time is too precious to labor through another page. And, yet, I still feel guilty abandoning the book.